BalanceFrom GoFit all-purpose weighs includes every weight you need for your workout. Just make a selection of your choice. Overview: Training with dumbbells/kettlebells allows you to select resistance training exercises based on their similarity to actual movements that occurs during sports. Dumbbells require more balance than training with barbells or machines, and balance is crucial for optimal performance. 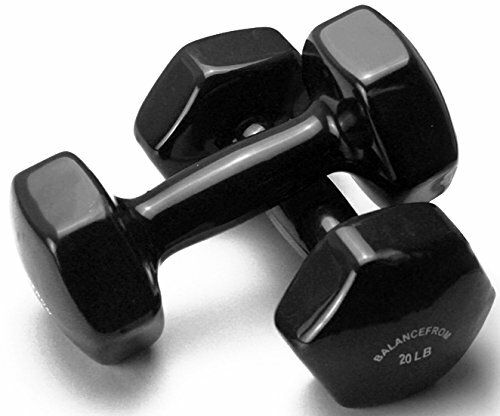 Dumbbells also require more muscular control than barbells, thus enhancing kinesthetic awareness. The best part of training with dumbbells is it allows the athlete to train through a greater range of motion than barbells on some exercises. Understand that it is sometimes more valuable to trade heavy weights (Barbells) for more sport-specific movements. Kettlebell exercises demand the use of multiple joints, which engages all the larger muscles of the body. Compound kettlebell moves burn calories faster than isolation moves, which only work one muscle.